First of all, let me apologize for working on some redesign issues yesterday (and, um, today). I don’t know if any of you happened to check out the blog in the middle of one of my millions of changes, but my apologies for having things look a little weird if you did. I’m incredibly difficult to please, apparently, when it comes to this site design, but I’ve made a few changes in a direction I think I’ll enjoy for longer than, say, 2 weeks before I get bored again. The biggest change is the placement of all my old sidebar links (things like my archives, categories, blog roll, etc). I haven’t deleted any of it, just moved it to the footer of the page, where it is magically more organized. This let me make the content space wider, which just means now I’ll get to post BIGGER pictures of my dog. All of the other stuff, including my needs-to-be-updated About page, are now at the top. Anyway, enough of the boring stuff. It’s Friday, which means it might or might not be time for another Friday Five! Who can tell around here, though. My track record is spotty. I stayed at this hotel last summer on a mini weekend getaway and fell absolutely in love with the whole decor of the place. It’s in the Financial District, so it’s quiet when you come home at 3am after hitting up a corner bodega to pick up a box of mini nilla wafers and a giant bag of salt and vinegar chips and proceed to be loud, annoying drunks. Ahem. 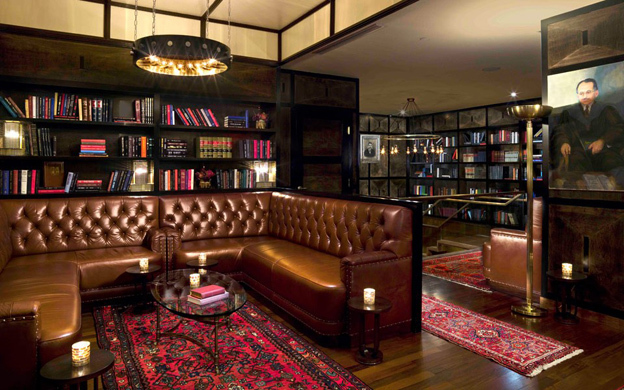 Anyway, every room had a custom leather headboard, and the hotel had this gorgeous library bar on the second floor; don’t let the lighting fool you, it was never this bright, which only added to the appeal. It was moody and dark and great for making out in a corner. Big, majestic libraries with lots of leather definitely remind me of fall. I’d recommend Gild Hall in a heartbeat. 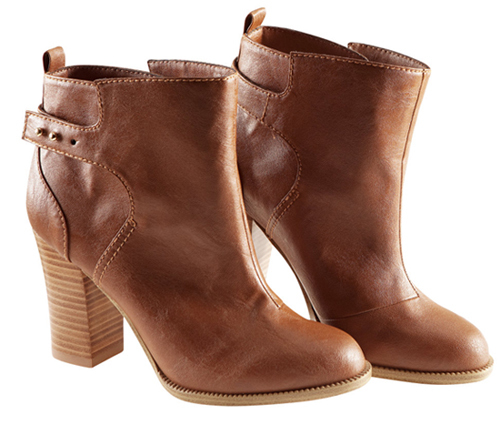 I have two great pairs of camel boots, one with a heel and one without, and they are absolutely a fall staple. They go with everything. So I have my fall go-to shoes set, right? Um, I’m sorry, do you not see these booties? I can think of 30 reasons why they are perfect and why I need to have them without even batting an eye. Perhaps the most persuasive reason is that they are under $40. 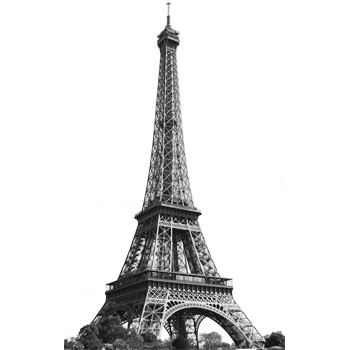 For someone inept at the basic skill of walking upright such as myself, spending an inordinate amount of money on death-trap-heels is a waste. 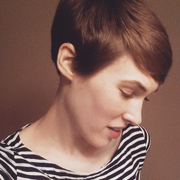 Can’t you just picture wearing these with a pair of dark wool tights and some rich fall colors? These are speaking my language. For every year of my life between the ages of 4 and 22, fall meant back-to-school. So maybe that’s why I’m drawn to backpacks this season. 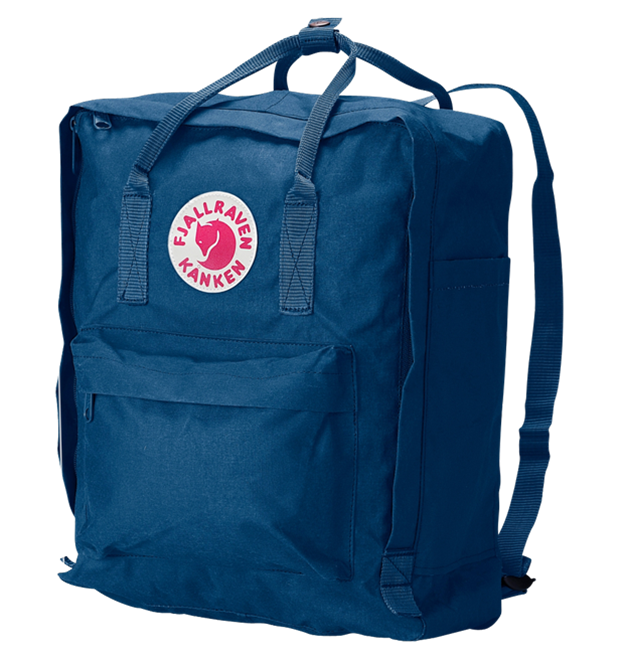 Fjällräven (which is Swedish for “arctic fox”), has an iconic series of backpacks in tons of colors. I love that you can wear it like a typical backpack or carry it handheld if you wanted. This would be great for a short vacation if you needed just a little extra storage for your laptop, camera, etc. Also, how cute is that little fox? 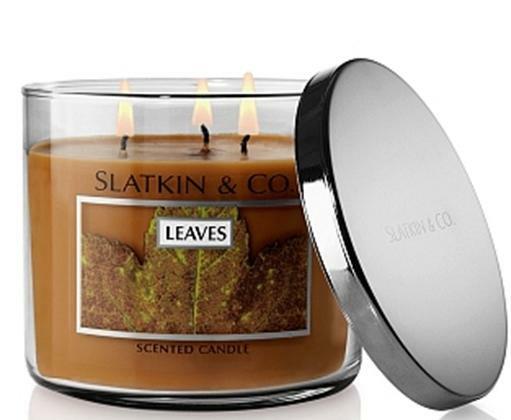 “Leaves” candle, Slatkin & Co.
You guys, I raved about this candle a while back and at the time, I was trying to fend off the heartbreak of thinking this scent had been discontinued. Thankfully, I was right in thinking that it was just a seasonal scent, and luckily, now that fall is here, it’s back! Don’t be put off by the name. Like I said before, it combines all of the best smells of fall (crisp, cold air, warm apple cider, and crunchy leaves) without being earthy or too sweet. I was so excited to find them back in Bath & Body Works that I couldn’t resist picking one up. These colors are so, so perfect for fall. Sure, as far as nail polishes go, $14 a pop is more than a little steep. 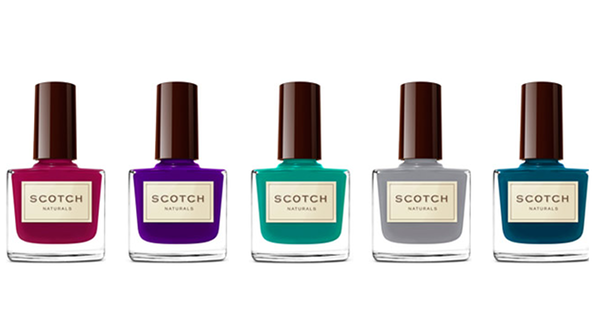 But given that they are an all natural, water-based, non-toxic alternative to standard nail polish (and that dreamy magenta is called “Macbeth’s Dream”!) they’d make a great gift in individual colors. The only problem is picking one. I’m leaning towards a rich red, called “Blood and Sand,” or maybe “Hot Toddy,” the dark gray-brown. Happy Friday! What are your weekend plans? I’m planning on tuckering Fitz out at the dog park tomorrow and then giving him a much-needed bath when he’s too weak to resist it. Great parenting! Love those boots. I’m surprised they’re H&M! I know, right? Pretty impressive! Worked for you so it may work for Fitz! Fitz is a lot like his parents, yes.